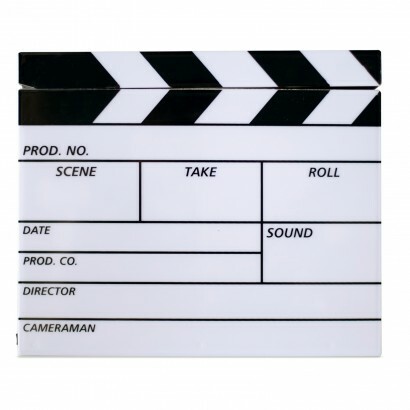 Lights, camera... action! 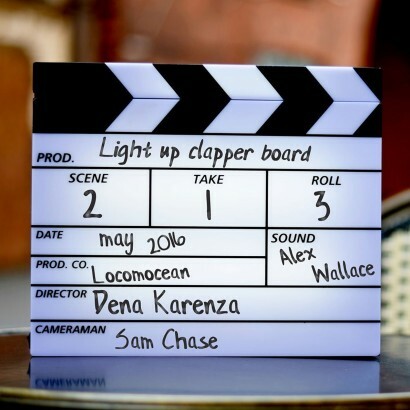 This old school clapperboard may not roll on filming but it will provide soft back ground lighting whilst you kick back and watch your favourite film or TV show. 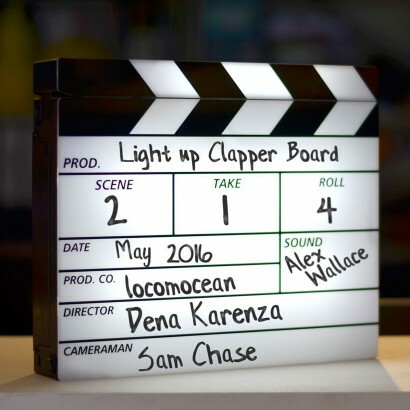 Personalise the clapperboard to reflect the occasion; from drinks with friends to birthday celebrations and more using the dry wipe pen included and close the clapper for action activating the light; cut, and the light will switch off again. Brilliant fun for movie buffs and would be directors. Personalise and celebrate your "production"